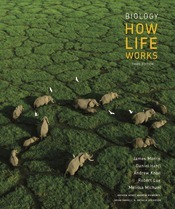 BIOLOGY: HOW LIFE WORKS has been a revolutionary force for both instructors and students in the majors biology course. It was the first truly comprehensive set of integrated tools for introductory biology, seamlessly incorporating powerful text, media, and assessment to create the best pedagogical experience for students.THE VISUAL PROGRAM The already impressive visual program has been greatly improved and expanded. The powerful Visual Synthesis tools have been reimagined, allowing for more flexibility for both students and instructors. A new Tour Mode allows for learning objective-driven tours of the material and deep linking from the eText allow the student to jump straight from the text into a rich visual representation of the content. Instructors can also create customized tours to use for engaging in-class presentations. And finally, new animations have been added to the library, including a new 3D animation to support the animal physiology content.A FOCUS ON SCIENTIFIC SKILLS The third edition does even more to teach students the skills they need to think like a scientist, along with the content they need to move beyond the introductory course. New Skills Primers are self-paced tutorials that guide students to learn, practice, and use skills like data visualization, experimental design, working with numbers, and more. New How Do We Know? activities accompany the feature in the text and teach students to understand scientific inquiry.THE HUB The best teaching resources in the world aren’t of use if instructors can’t find them. The HUB provides a one-stop destination for valuable teaching and learning resources, including all of our well-vetted in-class activities.IMPROVED ORGANIZATION OF TOPICS We implemented several organizational changes based on extensive user feedback with the goal of creating an improved narrative for students and a more flexible teaching framework for instructors.A new chapter on Animal Form, Function, and Evolutionary History leads off the animal anatomy and physiology chapters to provide a whole-body view of structure and function and to provide better context for the more specific systems in following chapters.The ecology coverage has been enriched and reorganized for a more seamless flow. 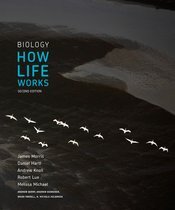 A new chapter on Ecosystem Ecology combines ecosystem concepts formerly housed in separate chapters to present a more cohesive view of the flow of matter and energy in ecosystems.All of these changes and improvements represent the next step in the life of Biology: How Life Works. We think we have created the best learning resource for introductory biology students, and we think instructors will find joy in the improvements they can make in their classes with these materials.